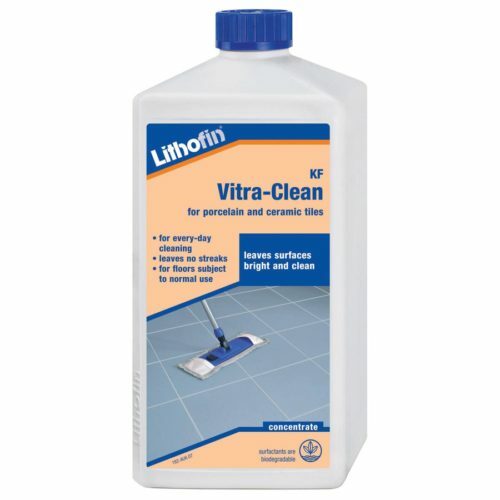 Lithofin MN Stain-Stop >ECO< penetrates into absorbent natural stone surfaces and coats the capillaries with an extremely thin and invisible film of polymers. The treatment prevents the immediate penetration of water based dirt as well as oil and grease, and it provides an effective protection against staining. This protective impregnator does not alter a stone’s sensitivity to acids. Durability: approx. four years depending on the type and use of the treated material and maintenance regime. To protect absorbent natural stone against staining and to render surfaces water and oil repellent. Treatment is recommended for all stone surfaces, such as: floors in kitchen, dining and living areas. The surfaces can be polished, honed, or rough. 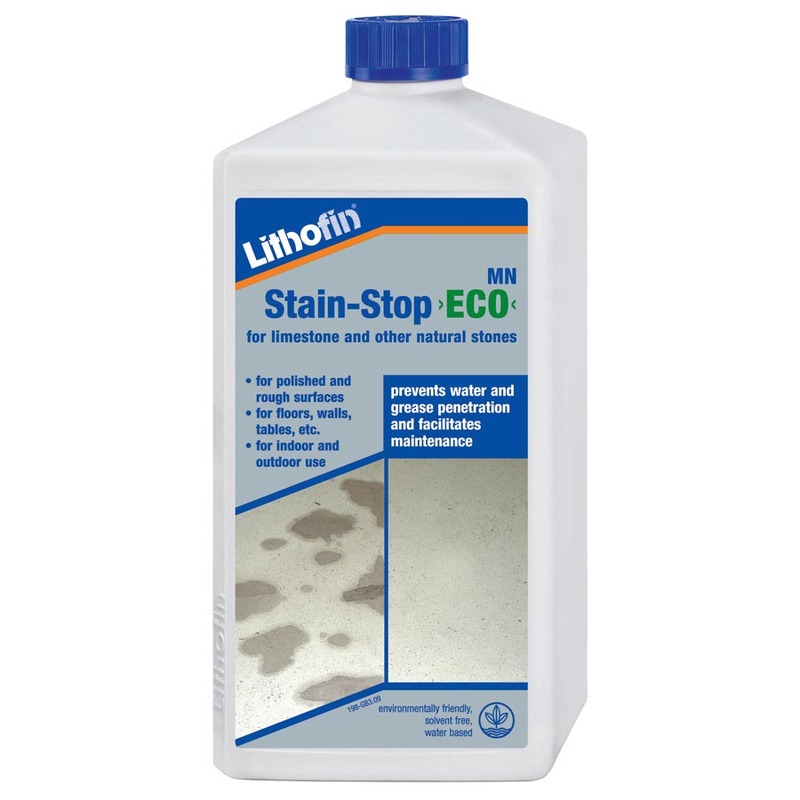 Lithofin MN Stain-Stop >ECO< can be used as initial protection before grouting and as a pre-treatment. Suitable for indoor and outdoor use. Surfaces: absorbent natural stones, especially suitable for rough and honed limestone (e.g. Mocca Creme, Cabouca and similar materials). 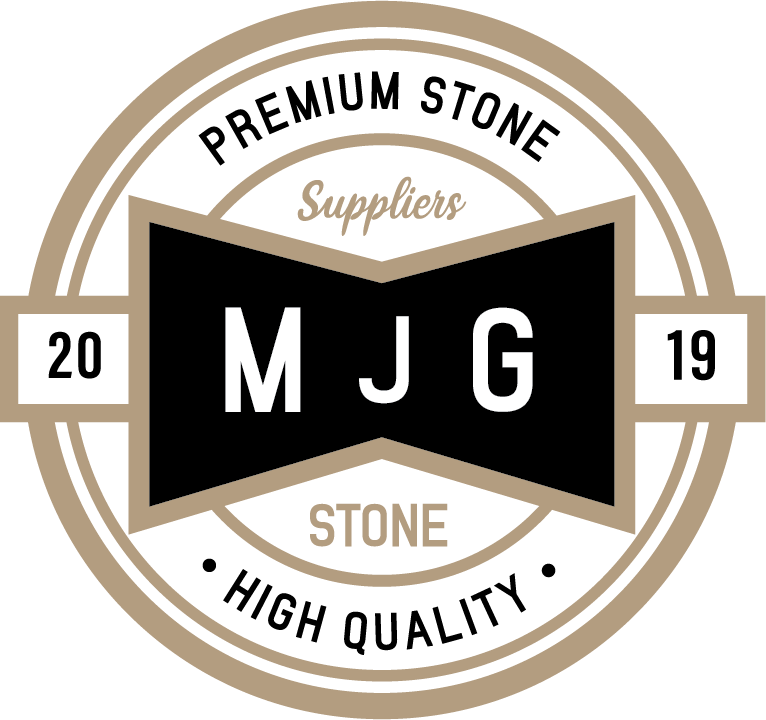 Please Note: on siliceous stones with a rough surface (such as honed or flamed granite), dense limestone and in cases where the highest level of water repellency is required (eg. 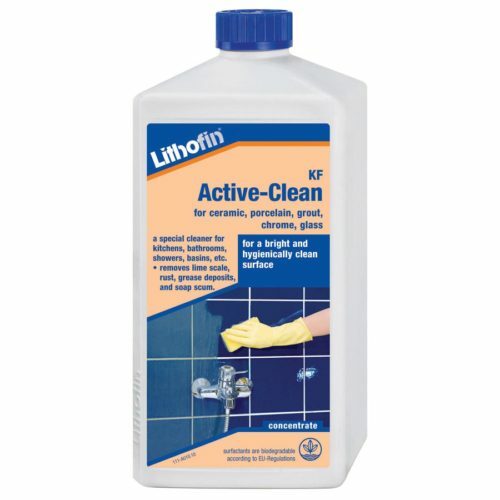 in the shower) we recommend using Lithofin MN Stain-Stop (solvent based). This also applies to surfaces that have been pre-treated with other impregnators or resins. completely dry, clean and free of stains. Shake bottle before use. Apply generously and evenly using a lambswool applicator, roller, lint free cloth or sponge. Ensure even distribution by wiping over several times. Make a second application after approx. two hours. Ensure that all surface residues are removed after 15 mins by towelling them off, do not allow residues to dry on the surface. On highly absorbent surfaces, apply product several times. Do not wait for surface to dry in between these applications. Check the surface for an even finish after the last application. Drying Time: approx. 3 hours. Treatment is fully effective after 48 hours. Do not cover surface before then and wipe up any spills immediately. Please Note: some materials may appear slightly darker after treatment. If no prior product experience exists or in cases of doubt, we recommend a trial application. Immediately remove splashes on wood, glass, PVC, lacquered surfaces, etc. with a damp cloth. Clean application tools with water after use. Application Temperature: The temperature of the surface to be treated should not be under 10°C and not over 25°C. Turn off floor heating. Surfaces subject to increased wear (such as surfaces in kitchen and bathroom) should be touched up at least once per year. This re-treatment can be done with Lithofin MN Stain-Stop >ECO< or with the solvent based Lithofin MN Stain-Stop. First give the surface a deep clean and allow it to dry thoroughly. Then simply wet a clean cloth with the impregnator and rub it into the surface. Free of chlorinated and other environmentally harmful hydrocarbons. The contained polymers are dissolved in water and inert once dry. 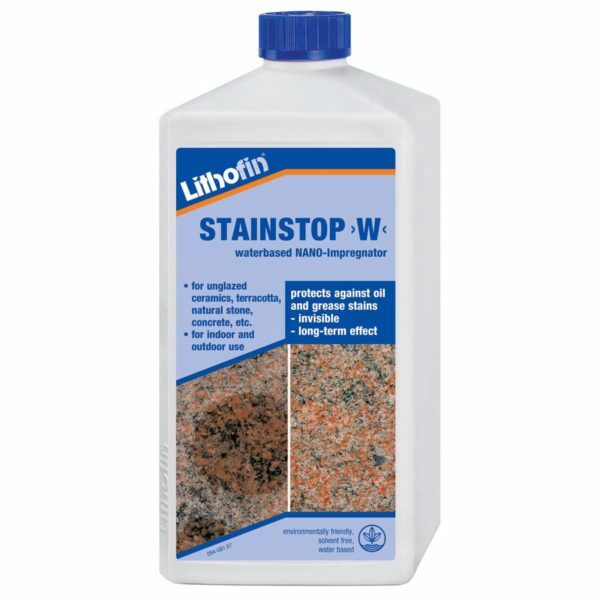 Lithofin MN Stain-Stop >ECO< is therefore ecologically sound (>ECO<). Do not spray product. No health concerns once dry. Ingredients: polymers, auxiliary agents, water. Product must not be sprayed. Keep out of the reach of children. No health concerns once dry.